Today we have the pleasure of premiering Moon, the latest single by Suffolk grunge pop trio The Glitter Shop. Moon was composed on a children’s Casio keyboard and begins slow but soon unveils its full noisy potential. Listen below. ‘Moon’ is about really wanting to do something amazing and knowing how capable you are, but lacking the confidence to do so due to fear of failing. Eventually what you want to do has been put off so much that you lack motivation and it becomes a dream and no longer a possibility in your mind. 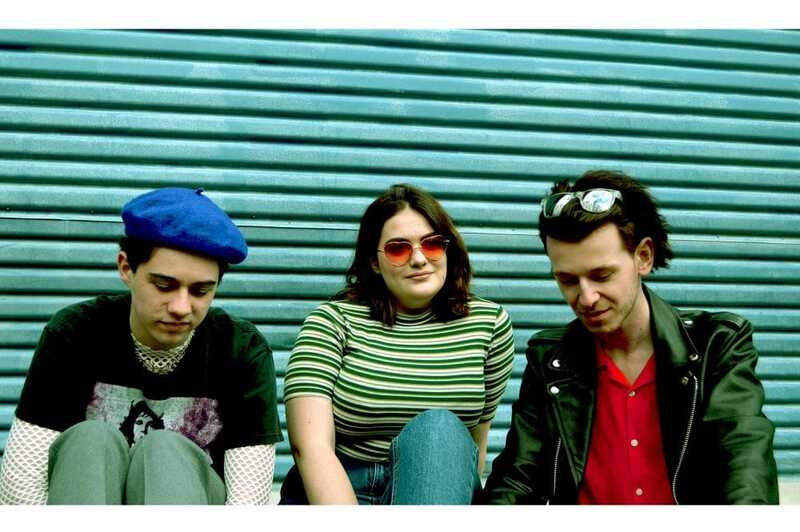 Naming Wolf Alice and Turnover as some of their influences, the band consists of Harry Dale on vocals/bass, Ruby Smith on vocals/keys and Barnaby Cutter on guitar. The new track follows on from their previous singles Fizz and Sleep and will be released on June 22nd. Having formed mere month ago in November 2007, the band’s first release came in the shape of debut single Sleep. Since then, The Glitter Shop have played venues such as the Cambridge Junction, Birmingham’s Sunflower Lounge and the Norwich Arts Centre. More dates will be announced shortly. Moon is out on June 22nd via all digital retailers.